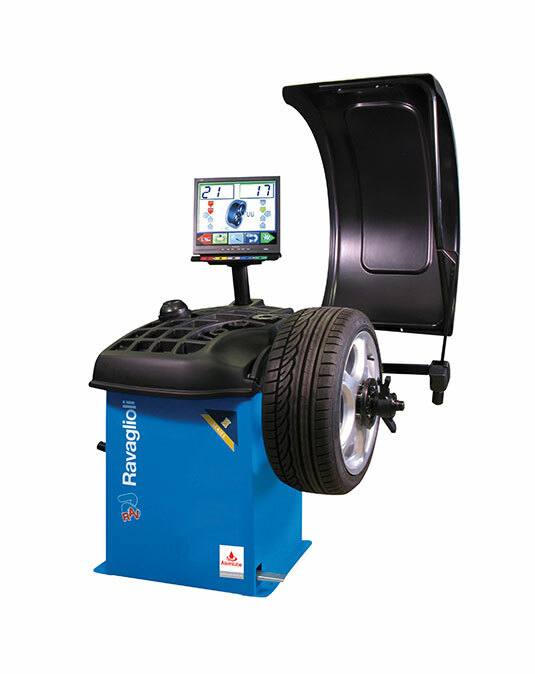 Professional Wheel Balancer which offers all the features by the most demanding operators. Maximum precision granted by the automatic measurement of distance and diameter, including ALU S and PAX programs. Quick balancing process thanks to the automatic start when wheel cover is lowered and automatically stops in the external unbalanced position. Easy operation due to the interactive inputs, guiding the operator during all phases of the balancing process. The bright screen grants optimal visibility even in poor lighting conditions. Colour monitor TFT SVGA 17” with industrial PC, static hard drive and 3D graphics. Suitable for high volume tyre dealers.